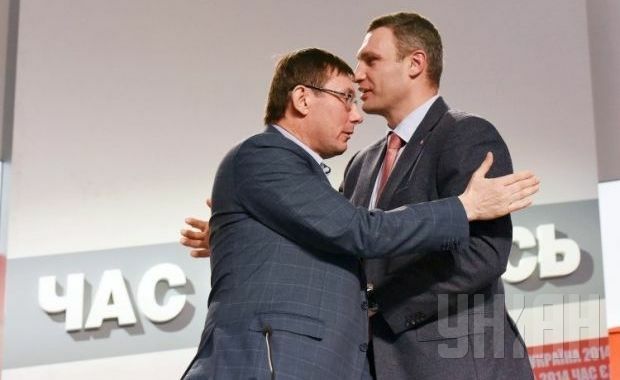 Kyiv Mayor Vitaliy Klitschko wrote a letter of resignation as chairman of the Poroshenko Party Bloc "Solidarnist," the press service of the mayor said. During the meeting of Kyiv City Council, Klitschko said that initially, as soon as the new law on civil service entered into force May 1, he said that he would not break the law and emphasized that all civil servants had to work exclusively in the framework of the current legislation. Read alsoKyiv authorities seek demonopolizing thermal power market in Kyiv"I would like to announce that since it is forbidden to combine the post of head of administration and the chairman or a member of a political party by law, I wrote a letter of resignation as chairman of the Poroshenko Party Bloc "Solidarnist." It should be considered by the political council. And then, according to the procedure and the ordinance, the decision should be taken by the congress, which elects the party chairman or agrees with his resignation," Klitschko said. Read alsoNewly appointed Prosecutor General Lutsenko becomes NSDC memberHe also urged MPs not to make loud political statements and work for the benefit of Kyiv citizens. Klitschko was elected chairman of the Poroshenko Party Bloc "Solidarnist" on August 28, 2015.